You are 16 going on 17... » EastBLAM! In 2016, this little market won funding from the Evening Standard and ran four events showcasing the craftyness and general all round greatness of the Greatfield area (aka East Ham South). Selling handmade crafts, soaps, locally baked bread and vintage items, it’s a great way to meet your neighbours and support local makers. This year, East Ham got it’s very own WI. Awesomely named the East Edge Sisters, this urban collective have been going from strength to strength. They now have more than 40 members and are running inspiring talks, activities and charity events. This is not the Jam and Jerusalem WI of days gone by. Check out their facebook page for more info. This is one of our absolute favourite things to do in East Ham right now! See Thru Shorts is a bi-monthly indie film night held at Red Door Studios. In the quirky comfort of Red Door, amongst the art and nestled into an armchair with a piece of homemade cake, you can catch some of the coolest, and most compelling short films around. A MUST DO. 2016 was the year that sourdough bread arrived in East Ham. Ok, technically it is not quite in East Ham yet but is baked just a few miles away in Essex (err, East Ham used to be part of Essex, so it is technically the motherland!) and can be delivered, free of charge to your door by the lovely Roman of Flour and Spoon. Independent, organic, and yummy. We did a little happy dance when we discovered it! And now for the Resolutions part! East Ham is ‘coming up’. Love it or hate it, house prices are rising and a new wave of people are arriving. If we want to avoid the big chain’s moving in and protect the diversity and character of East Ham without leaving behind the people who supported it long before estate agents touted it as the new Forest Gate, then we need to get out there and participate. In 2017, lets support our local pubs, shops, community groups and restaurants and get involved! Know your area. Know your neighbours. Say hi to the postman and the milkman (yes, you can still have a milkman in East Ham). Go where you don’t know – How about a curry on Green Street, or a pint at the Boleyn? The more you explore, the more beautiful and interesting things you will discover (and don’t forget to share your discoveries with us). We think the more you look, the more you see. 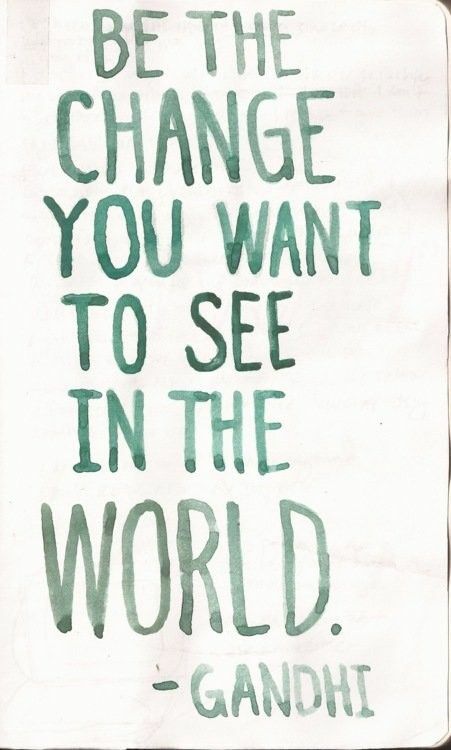 In the words of Gandhi, ‘Be the change you want to see‘. Don’t just talk about the things you would like to change, make them happen. If they are too big to do alone, then gather up some like minded neighbours and see what you can do together. Do you wish there was more public art in East Ham? Apply for a ‘Go for it grant‘ or join forces with Rosetta Arts. Always loved baking? Bake and sell your products at a local market. Wish there was less rubbish on your streets? Join forces with other people on your road to have a clean up or use the LoveNewham app to report it. Find local activities, businesses and people that are doing things you like. Share their content on facebook, go to their events or join a local committee or group. East ham really does need YOU. So that’s 2016 done. We’ve loved meeting you all, hearing your stories and sharing them. We hope that we managed to give you some warm and fuzzies about East Ham, E6 and beyond, and give you some ideas on how to support your area and #lovewhereyoulive (#loveeastham). If you’ve enjoyed reading this then, please share it with your friends and neighbours using the links below. Now get out there and get involved in 2017! A day trip to the seaside to say farewell to the Summer.